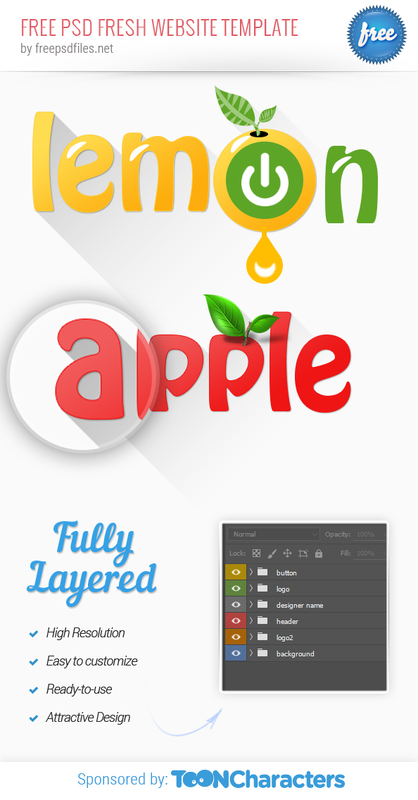 If you are looking for some cool fruit themed logos, do not hesitate and check out our Free Apple and Lemon Logo Templates. Make your branding more eye-catching and fruity absolutely for free. Ready-to-use templates are always very useful, time-saving and also excellent to learn the design process in Photoshop. Created by Abhishek Gabani, the two awesome logos come in a .zip archive file, as the first one is the lemon logo, and the second one- the apple logo. Both will perfectly fit any type of projects and will help you freshen up your brand. You can obtain the .zip file by downloading it via the download link. The downloadable .zip archive contains an editable PSD file. It includes all the layers of the elements, which are named and grouped properly for your convenience. This will no doubt save you a lot of time and effort. That means that you could change the size and color of a certain shape or text. It’s up to you and your imagination, the possibilities are endless. If you are looking for other cool logos, take a look at our Logo templates section. Get this awesome Free Apple and Lemon Logo Templates now, by clicking the Free Download button below! WOW!! freepsdfiles.net never disappoints me. Thank you for this great artwork.